This story is part of our Travel Nightmares series, featuring helpful tips, hints, and strategies so you can travel stress-free. 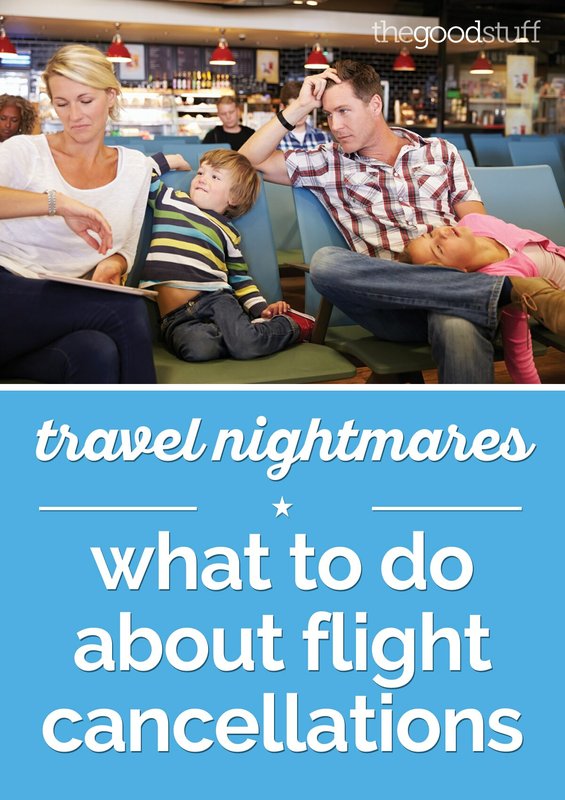 Read our other Travel Nightmares stories here: 10 Free Things Your Hotel Provides, How to Avoid Baggage Fees & Other Costs, Your Airline Passenger Bill of Rights, How to Get the Best Travel Deals, How to Troubleshoot 7 Common Travel Problems, and 6 Resources for Fear of Flying. Bon voyage! 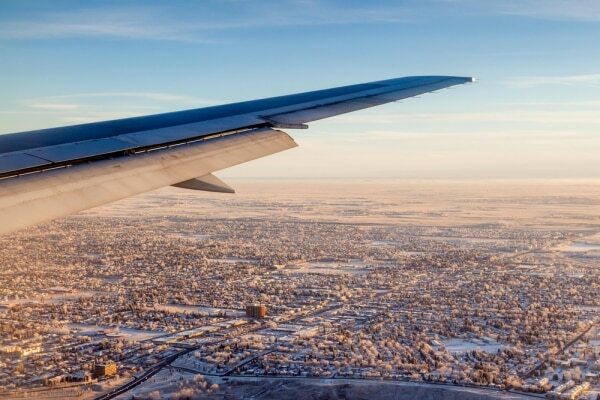 Flight cancellations are the ultimate travel nightmare. Thousands of cancelled flights a year lead to missed vacations, meetings, and grumpy passengers who just want to get home. You can decrease your odds of suffering a cancelled flight by booking wisely: Choose morning flights, travel minimally in winter, fly nonstop whenever possible, and avoid regional jets. But still, sometimes there’s nothing you can do to avoid it (we have little control over airline error and no control over Mother Nature). Planning ahead is always a great idea when you’re traveling, and booking sites can help you check for the best airfares or hotel deals if your flight is cancelled. Be sure to check for Booking.com coupons, Travelocity promo codes, or Hotels.com coupons before you book, too! As soon as a flight cancellation is announced, a mass of people are going to line up all wanting the same thing: To get home the fastest and most convenient way possible. 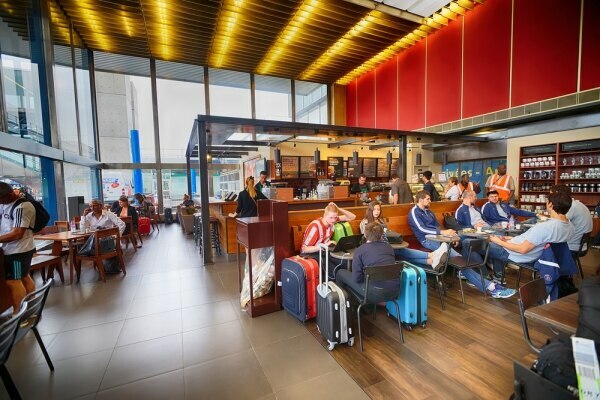 But there are only so many spots available, and though business passengers or those traveling with kids may have priority, after that it’s on a first-come, first-served basis. Get in line and dial the airline at the same time. 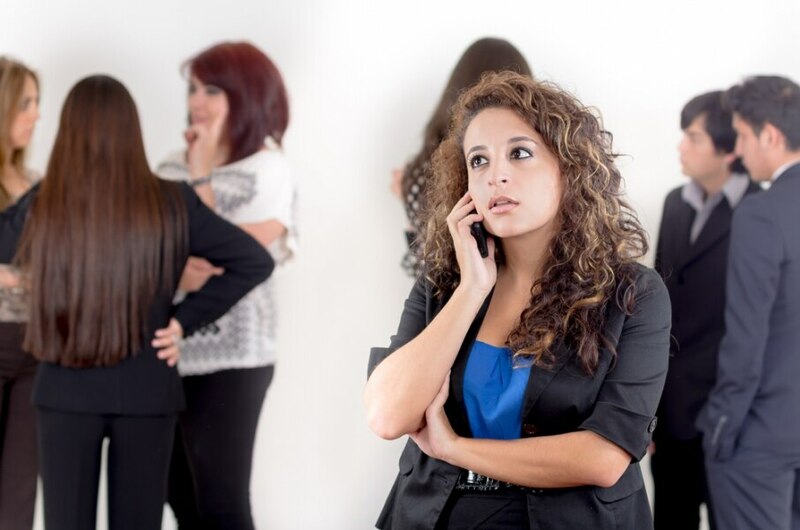 Chances are your phone call will be answered before you get to the front of the line, but it’s best to have a backup plan already in motion. Once the flight has been officially cancelled, you may be able to log in with your confirmation code and change your flight without incurring fees or paying for a fare increase. 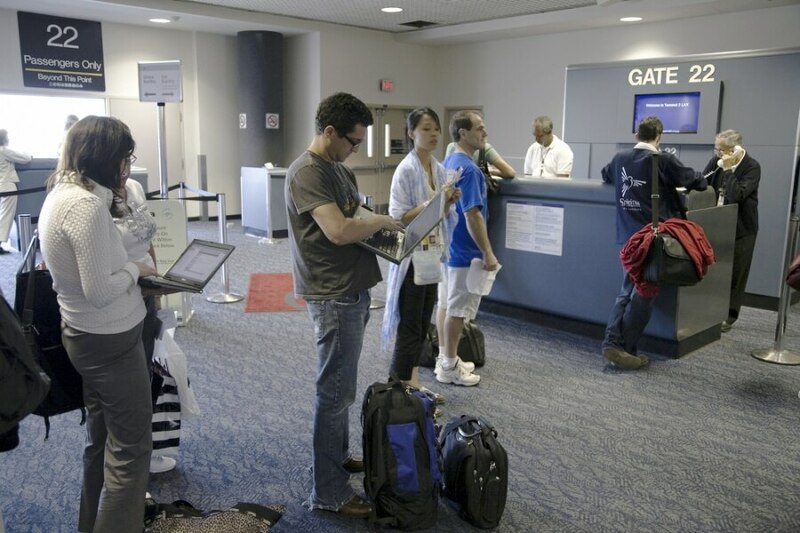 Once you’re booked, you should be able to find an airport kiosk to print your ticket. If you do rebook with an agent or over the phone, you may want to go online afterward and make sure you got the best-case scenario flight. In your haste to secure any flight, you may have not fully surveyed your options. Unfortunately, you’re not entitled to compensation if a flight is cancelled, only if you’re involuntarily bumped. But just because it’s not written into airline policy doesn’t mean you can’t get it. Read about other travelers’ experiences on cancelled flights to get an idea of what they’re capable of offering. For instance, after all flights were cancelled from San Diego to San Francisco, a friend of mine was forced to get her refund and then rebook a same-day ticket on another airline for twice the price. Though the original airline technically fulfilled its obligation, she was able to call later that week and file a complaint that eventually got her a credit for the full amount of her rebooking. You’re not going to find that in the official cancellation policy, but if you’re willing to spend an hour on the phone holding firm with customer service, you may be rewarded. Know why your fight was cancelled. If the airline is at fault, such as a crew shortage or a mechanical problem, then you generally have more negotiating power. They should pay for hotel accommodations (but doesn’t mean they always will). Airlines are less sympathetic when flights are cancelled due to weather and very few will pay for your hotel in this case. Sometimes they do have partnerships with airport hotels and may be able to get you a discounted rate, though, so it never hurts to ask. There’s not much that’s more frustrating than flight cancellations, but try not to lose your cool. The gate agent didn’t cause the snowstorm, so don’t take it out on them because it won’t get you far. If a flight is cancelled and 180 people need to get to Chicago, not all 180 people are going to get the next best route. Some people will get on flights later today and some tomorrow. Some will get a nonstop and other will have a 6-hour layover. Be nice to your gate agent, because if you’re not they may save that desirable flight for the next kind person in line and put you on the one tomorrow morning. Being kind doesn’t mean giving in. If you’re too easy to deal with then an agent might think they can get away with giving you a lesser flight and saving the best available for a more aggressive, diligent passenger. Make sure you’re getting the best available. It’s possible to be courteous and respectful while still firmly asking for what you want. If a big storm is brewing and cancellations are inevitable, then some airlines will preemptively let passengers switch to a later flight and waive fees. If there’s a good chance your flight will be cancelled, reschedule now while there are options available. You’ll get first dibs and won’t have to spend the day hanging out at the airport. There may be no other flights to San Francisco, but what about nearby San Jose or Oakland? If you’re desperate to get home, it could even be worth it to fly into Sacramento and rent a car to drive the two hours. There’s little that airlines are entitled to give you if a flight is cancelled, but there are a lot of extras they could give you if they feel so inclined. Ask for meal vouchers, seat upgrades, or a discounted hotel room. Say you planned a seven-day vacation but your flight was cancelled and you left a day late. Your vacation is now just six days and that hardly seems fair. Some airlines will allow you to change your return flight so that the trip is equivalent to the length of time it would have been before the cancellation. 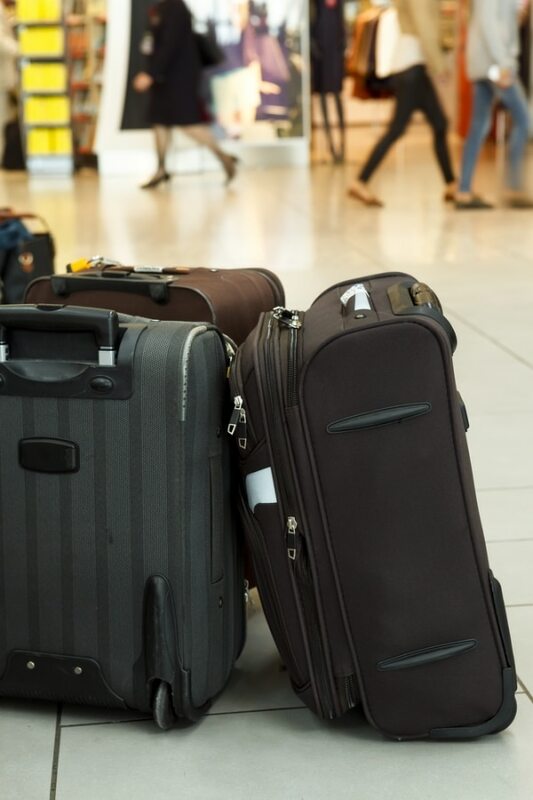 If you have to stay overnight in a hotel due to a cancellation, your luggage may not always be retrievable for the night. If that’s the case, ask your airline if they have complimentary overnight kits.